Using a portable fire extinguisher during the first two minutes of a fire is arguably the most cost-effective defense against property damage from a fire. In the instance of small fires, users can put out or contain a fire by using the proper equipment until the fire department arrives. Let State Systems, Inc. help determine the right type, location and maintenance schedule for the fire extinguishers placed in your building located in Olive Branch. Call us at 866-308-5701 or contact us online. 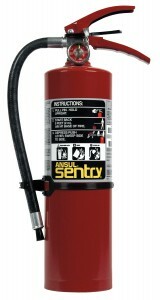 Call us today at 866-308-5701 for Olive Branch fire extinguisher installation services! If you need fire extinguisher installation, service or training for your Olive Branch, Mississippi building or property, click here or call State Systems, Inc. today!